St Joseph's Primary, Aylesham placed in the top 1% of primary schools in England for KS2 Maths results! 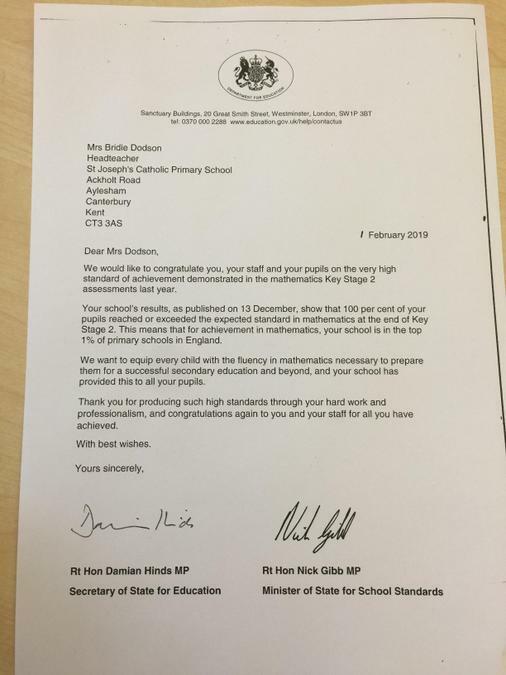 A huge well done to all of the staff and KS2 pupils at St Joseph's Primary, Aylesham, 100% of KS2 pupils reached or exceeded the expected standard in mathematics. This places the academy in the top 1% of schools in England! See the letter from the Secretary of State for Education congratulating the academy below!